Will Europe's Solar Eclipse Fritz Out Germany's Power Grid? Includes 5 Solar Facts and Cost-Saving Tips. While Europeans are preparing to solar gaze during the March 20, 2015 eclipse, the power pundits are heating up the debate on whether the solar eclipse will fritz out Germany's power grid. For my two cents, I'm betting that the utilities will be prepared with other power sources during the Solar Eclipse and that there will be little or no issues at all. Utilities routinely switch to coal, natural gas, nuclear, hydro, biomass and wind during nights and on cloudy days, when the sun isn't shining. How reliable is the sun? Um. Well, if the sun stops being reliable, we'll have a lot more to worry about than turning on the lights. In fact, the sun is very reliable and predictable. Scientists and utilities have had years to plan for the March 20, 2015 solar eclipse. When you think about Fukushima, it becomes clear that nuclear is not as reliable as proponents would like the world to believe. The Fukushima nuclear power plant experienced meltdowns in 3 of its 6 reactors on March 11, 2011 and has never been back online since. Fukushima makes it abundantly clear that when determining the true cost of nuclear power, we must include the price of storing radioactive fuel rods and waste water for thousands of years, the price of decommissioning and the potential devastation of an entire land mass. As Europe gazes upon the Solar Eclipse on March 20, here are 5 solar facts for everyone in the developed world to mull over, including how the sun can power our household budgets with thousands of dollars in savings every year. 1. How long has solar energy been around? According to NASA, the first solar-powered satellite, Vanguard 1, was launched on St. Patrick's Day in 1958. 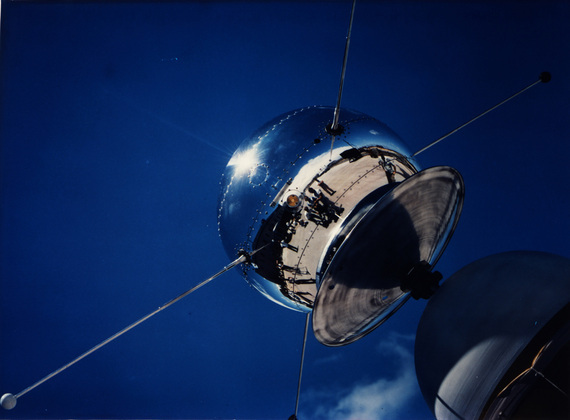 It is still the oldest artificial object orbiting Earth. 2. How much does the U.S. grid rely upon solar energy? 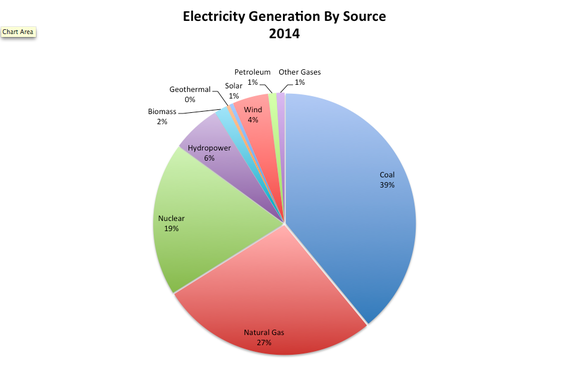 In 2014, 86% of the power in the U.S. was generated from non-renewable energy sources, namely coal, natural gas, nuclear and petroleum (in that order). Less than ½% of grid power was powered by the sun. Here's another interesting fact. There are currently 18 nuclear power plants that are in the process of decommissioning. 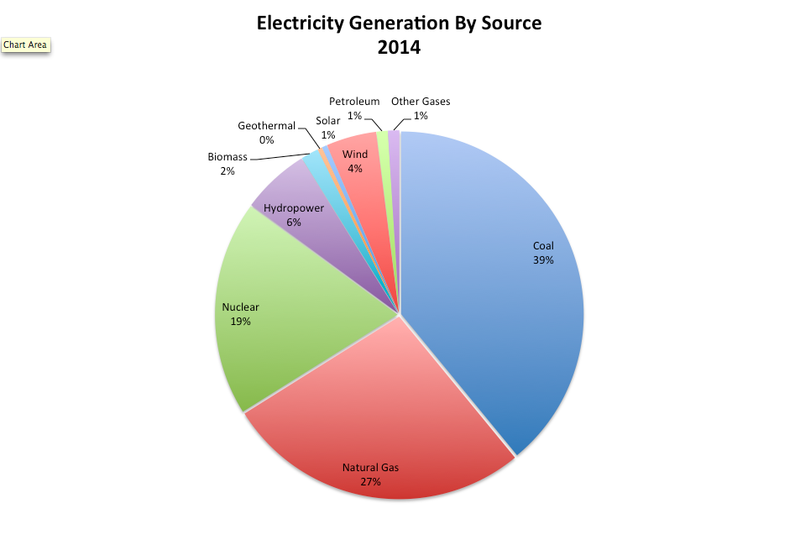 Source: Energy Information Administration. EIA.gov. 3. How much can you save with a solar water heater? On average, Americans can save 50-80% off the cost of heating their water by installing a solar water heater, according to the Department of Energy. For most Americans, that's $500-$800 in annual savings, with an additional protection against future utility rate hikes. Click over to Energy.Gov to calculate your savings. 4. Residential Renewable Energy Tax Credit. Americans can take a 30% tax credit for powering your home with renewables now through December 31, 2016. Click to the Energy.gov web page for details on the tax credit. The Energy.gov website has a lot of facts and resources to aid you in determining which renewable energy source is right for you, whether or not to connect to the grid or use battery-back ups, and other tips on how to create an energy-efficient home. Rethinking the way that you build, insulate and use your home can result in dramatic savings off of your energy bill. Passive Home owners have reported savings of up to 90% off of their heating bills. Go to the Passive House Institute U.S. web page to learn more about how you can insulate better and use free resources of body and solar heat to power your comfort Matrix-style, without any change in your lifestyle.